This book provides state–of–the–art coverage for making measurements on RF and Microwave Components, both active and passive. 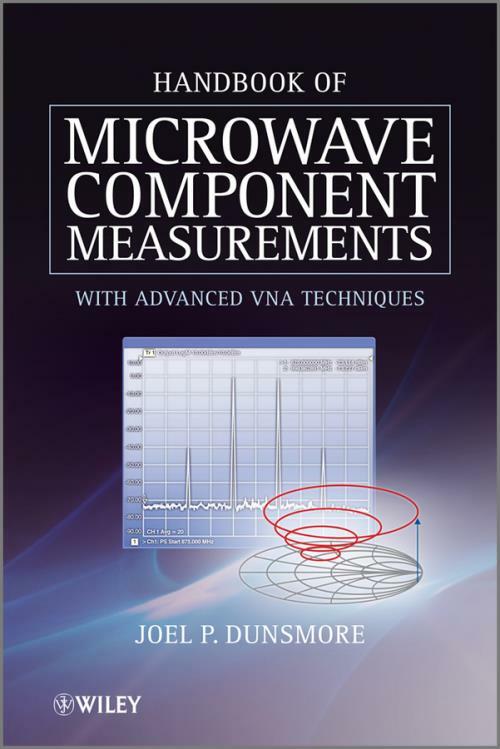 A perfect reference for R&D and Test Engineers, with topics ranging from the best practices for basic measurements, to an in–depth analysis of errors, correction methods, and uncertainty analysis, this book provides everything you need to understand microwave measurements. With primary focus on active and passive measurements using a Vector Network Analyzer, these techniques and analysis are equally applicable to measurements made with Spectrum Analyzers or Noise Figure Analyzers. The early chapters provide a theoretical basis for measurements complete with extensive definitions and descriptions of component characteristics and measurement parameters. The latter chapters give detailed examples for cases of cable, connector and filter measurements; low noise, high–gain and high power amplifier measurements, a wide range of mixer and frequency converter measurements, and a full examination of fixturing, de–embedding, balanced measurements and calibration techniques. The chapter on time–domain theory and measurements is the most complete treatment on the subject yet presented, with details of the underlying mathematics and new material on time domain gating. As the inventor of many of the methods presented, and with 30 years as a development engineer on the most modern measurement platforms, the author presents unique insights into the understanding of modern measurement theory.